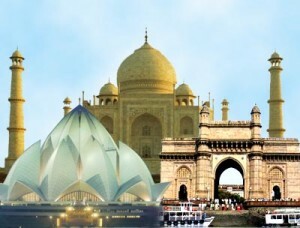 India is an attractive destination for most travelers. That is why every year this country hosts thousands of foreigners from different regions around the world. Anyone can have the privilege of visiting India as long as you meet all the necessary traveling requirements. One of the key requirements that you need is Visa to travel to India. Apart from a visa, you are also required to have a valid passport that contains all the relevant information. If you are going to apply for Indian traveling visa, there are few things that you need to understand. First, specify the type of visa you want when submitting your details during registration. There are various places where you can apply for a visa. Most people consider applying for an Indian visa directly from the Indian government while others consider applying for a visa at the embassy. However, apart from these two places, you can also apply for an Indian visa online where it is easy and convenient. What you need to do is find a traveling domain that is authorized to issue India traveling visa and register with one of this website. When applying for a visa to travel to India, it is necessary that you specify the type of visa you want. Do you want a business visa or an e-tourist visa? There is also a medical visa if you are traveling for medical purpose and also a student visa if you are going to pursue higher learning. Each visa has its benefits and as a traveling, you need to identify the visa that is suitable for your traveling needs. Moreover, you need to acknowledge the fact that the type of visa you choose can be expensive or affordable since they do not cost the same. For example, a student visa is easy to acquire and affordable. However, a business visa goes through a long process and because of this reason it is usually delayed with a day or two. Furthermore, a business visa happens to be expensive than a student visa. There are some documents that you are supposed to provide when applying for a visa. First, you must submit a valid passport that has a signature page. The passport must be valid for at least six months and must also contain a blank page for approval by a stamp. Apart from a valid passport, you are also required to fill in an application form for an Indian traveling visa. You must sign the application form as the applicant before submitting the document. Moreover, you are also required to make a copy of the form and print the form on two pages. Make sure you sure on each page specifically under your passport photo and also at the bottom of the first and second page. Your signature must match. Otherwise, you will be required to fill in a new form and start the process all over again. To avoid mistakes and inconveniences that may lead to further delay, make sure that you read an application guide that is usually available online for free of charge. Another document you must have when applying for a visa is a letter of invitation from the country of India. Without all the necessary documents, getting a visa to travel to India would be impossible. It is a major requirement, which is why it is necessary that you provide all the details if you want to get a visa to travel to India. However, the documents that you are asked to present will depend on the type of visa you want. For more information for obtaining an Indian evisa please visit our home page.